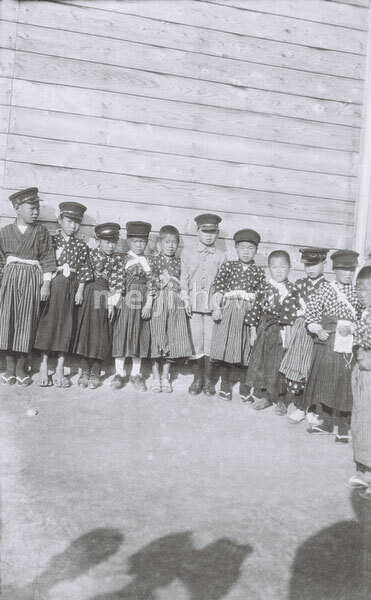 Japanese elementary school children. Notice the hats. Early Showa Period (1930s).